Fusing ancient traditional lacquer techniques with modern print technology. We produce photographic lacquer prints from our growing O&M Collection. From small coaster sets to large wall prints, all handmade. Using our silver plating technique from lacquer and applying it to canvas. Each silver coated canvas is unique. All prepared by hand as the silver consists of small squares placed one by one on the canvas. Making custom creations featuring images from our O&M Collection, be it furniture or accessories. Do you need anything in particular? Please contact us and let us be of help. We create can create single pieces to several ones. Ancient handmade lacquer techniques meeting modern print technology. Vietnam ranks as one of the world’s leading lacquer exporter. The artisan process of making lacquerware is alive in Vietnam. The process is manual and all the lacquer layers get applied by hand. Stroke after stroke and layer upon layer. It is a time consuming process and it requires steady craftsmanship. Fusing modern print technology with the traditional lacquer process brings back the artisan process. It creates unique, handmade individual pieces of art. 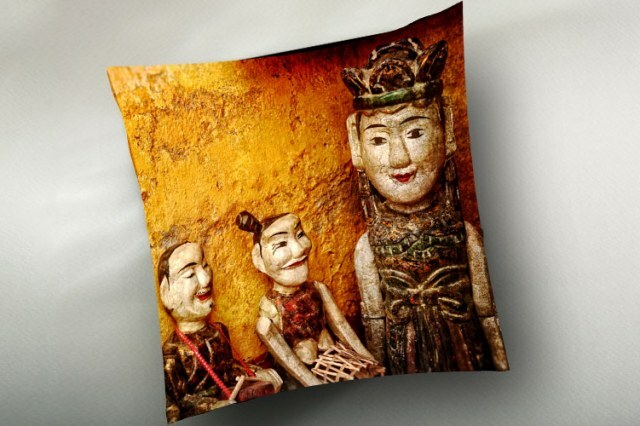 Fine art photography from Vietnam. 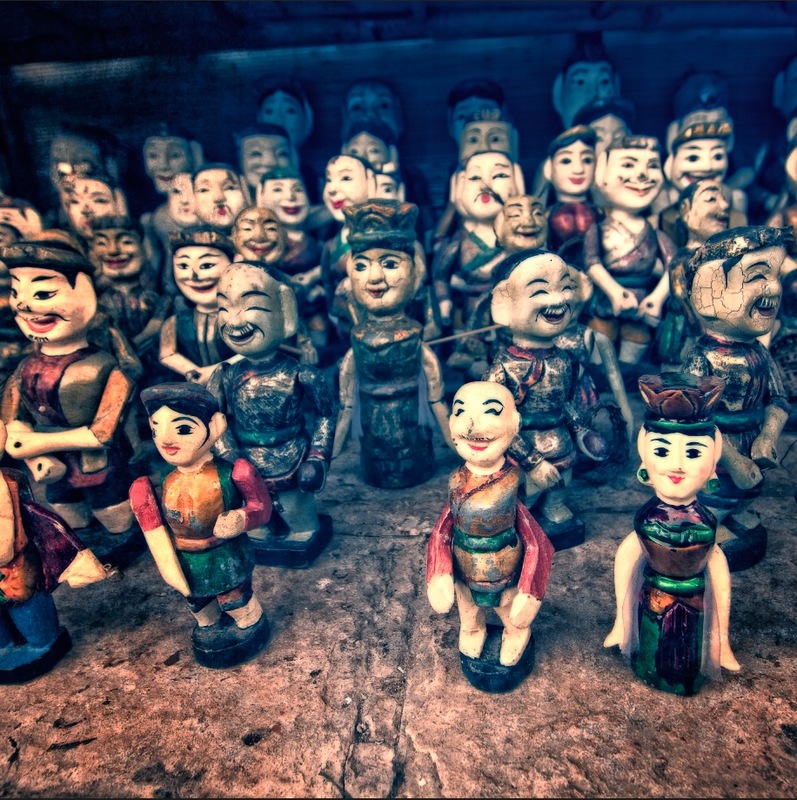 "Coming from an analogue photography background is an advantage. It gives you a better understanding of photography as a craft. Combine that with graphic design studies and you see the world in a different way. Never stop experimenting. Learn the rules and when to break them. Creativity is a process." "Learning to take a picture is as simple as pressing a button. Learning to see what will make an interesting photograph never ends. To see beauty in places where others see nothing and bring that to life. To see the final image in your mind before pressing the shutter. Combining the technical knowledge with the artistic eye." "In the analogue darkroom you paid with your time for every mistake you made. It set you back to the start. Digital enabled endless undo's. Made it easier to replicate. One master file and you can reproduce a perfect copy. Printing on silver coated surface brings back the random aspect. Each print is unique and handmade." 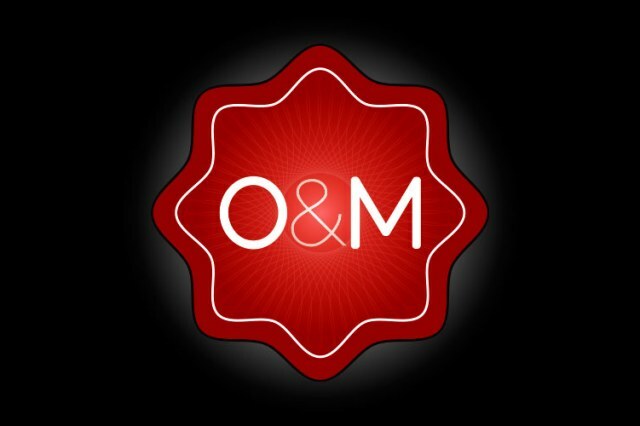 From the start, O&M strives to deliver both unique and handmade artworks. We explore different mediums and have a wide network of sources to create our products. Do you have something in mind? Contact us and we can tell you how we can help. Our ever growing image archive. Every year, we add more images from our travels around Vietnam. Capturing a unique view of the world as we see it. We make according to your requirements. We have a wide network of resources available to help you source what you need for your interior project. There is something special with handmade objects. It is about the craftsmanship. We use hands whenever we can. Makes it personal and unique. 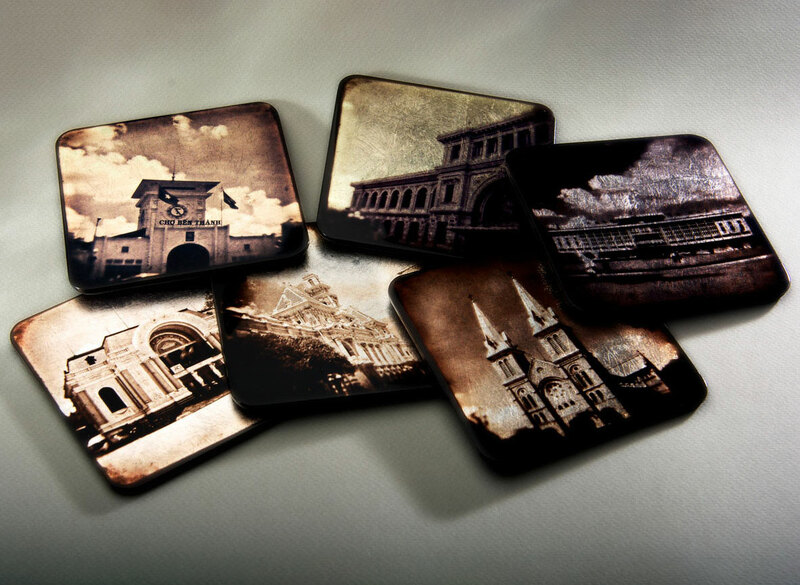 Our coaster range is one of our most popular corporate gifts. 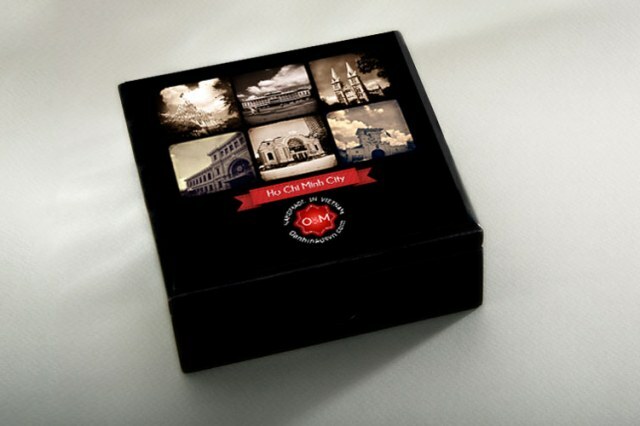 We also produce limited edition VIP products. Please get in touch for more information and pricing. We can assist with both delivery and installation. Largest item we shipped by truck measured over 5 meters in length and 3 meters in height. It was a custom, handmade wood frame for two of our artworks. We take part in collaboration projects, creating limited edition artworks. Please contact us. We always welcome ideas. Our online store is always open. (Not including our handmade products, such as photographic lacquerware and silver hand plated canvas). For our handmade products, please contact us. You can also inquire about our company brochure (pdf format). We are always open for custom requests. We make to order. Please use our contact form below (scroll down to the bottom). We appreciate your interest. Feel free to browse samples of our products below. Oanh obtained her MBA in Taiwan and is a lecturer at one of Ho Chi Minh's universities. Handles contracts, pricing et al. Graduated from Central Saint Martin's in London (graphic design). Handles all creative. Also runs a commercial photography studio. We create ideas. We create images. That's what we are good at. For the rest we get the best people we can find. That's why we enlist the help from our local community whenever we need an expert. A skilled artisan. To execute precision work by hand and delivering quality. We appreciate inquiries and comments. We do. Who would not appreciate constructive feedback? Thanks to your input we can plan our future travels and image archive expansions. To explore new directions. Create new product ranges. Do a collaboration. Please, tell us what you you want, and we can answer with what we can do. Thank you for letting us know. We appreciate it. Cty O&M is a Vietnamese registered company with the MST code: 0312419163. Monday to Saturday. By appointment only.